When James first started out as a contractor he tried an umbrella company as it seemed to be the easiest option to get up and running. After a few months of working with other contractors, he realised that having a limited company meant he could keep more of his earnings and pay a more favourable tax rate. It also meant James was more in control of where and who he worked for. My first contract was a great experience but I knew where I wanted to live and that I needed to make some changes to make it happen. 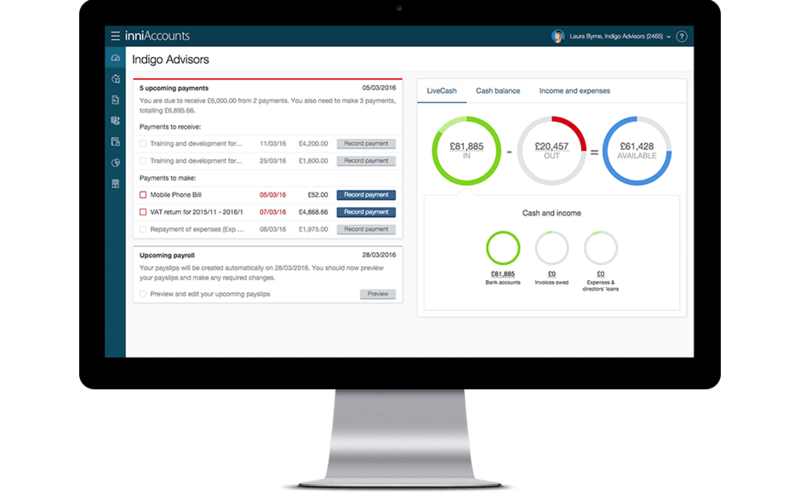 inniAccounts were brilliant, they had my company set up in a few hours and I sorted out the new contract based in Manchester. I’m still based in the heart of the city and loving where I am. I wanted to work in Manchester for the lifestyle and also the opportunities for me to work with the technologies that really interest me. For me, a contract has got to offer the opportunity to build my skills and the right technology platforms to work on; new challenges keep things fresh. As well as my contract work I can volunteer my time and work on interesting projects for charities like the RSPCA. That way I can give something back and work with interesting software. I have to admit that running your own limited company is a lot easier than I thought it would be. Everything was set up for me and the inni service makes it really quick and easy for me to keep all my finances up to date. I see reminders every time I log on to make sure I’m paying bills on time and keeping my HMRC submissions up to date. After the first month or so everything just seemed second nature and I hardly need to think about the admin side; I’ve referred quite a few people to inniAccounts now because it’s so easy! Work-life balance wise, I still go to an office every day, but having my own company means I have a greater sense of freedom. If I want to take time off between contracts I do, there’s no pressure to avoid gaps in my CV; all contractors and consultants have gaps. I also feel more relaxed about planning holidays; I can decide when to take time off and I plan it around when my clients need me. Before I became a contractor, I was worried about job security. Now, I can see how I’m doing financially any time on the inni system and make provision for downtime between contracts; it’s really liberating. I work hard and then I make the most of my personal time with my running club, dancing lessons, acting classes; I’d probably still do all these things if I was in a normal job but I feel more able to do things when I want now I’m my own boss. It’s not as difficult as you think. Just do your homework and check out the contractor market where you want to work. There’s lots of opportunities out there, just concentrate on getting the work in and the rest is straight forward if you use inniAccounts!